It has definitely been a long journey of recycling the wooden pallets. Throughout this journey, we have upcycled a number of wooden pallet furniture items. But it never seems to be enough. We are desperate to bring you ever new ideas of wooden pallet recycling. 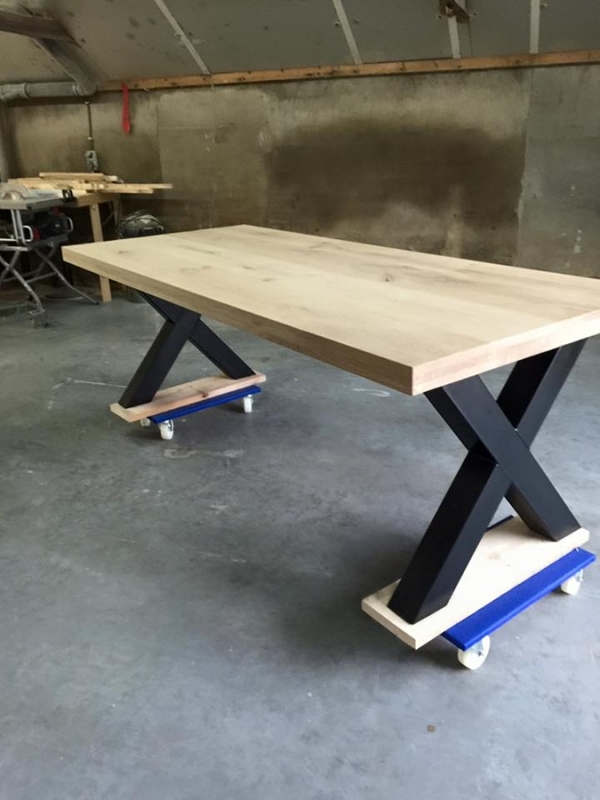 Today we are introducing a reclaimed pallet table with steel legs. Prior to this project we have recycled a lot of different coffee tables, but this would be certainly a different type of long table that we might use for some other purposes. Depending upon your needs, you can use it for a number of tasks as it has plenty of space on it. 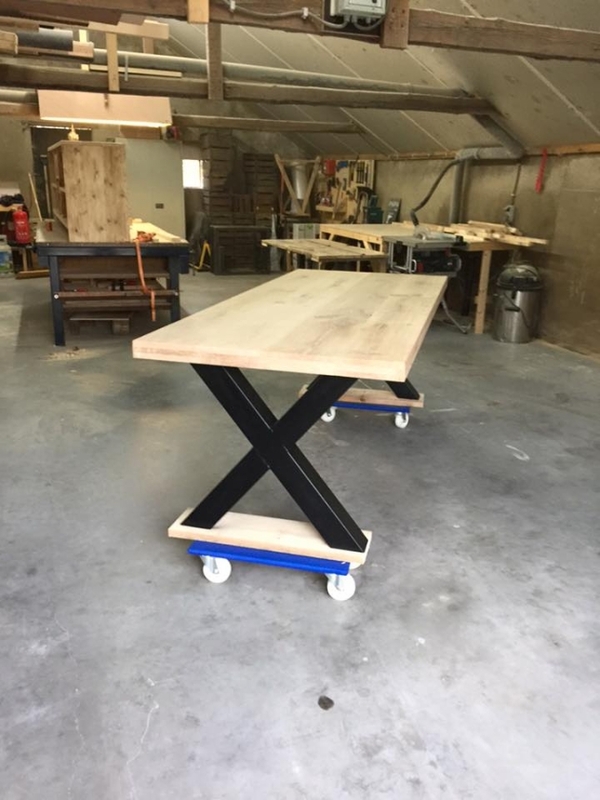 We are talking to recycle a reclaimed pallet wooden table with steel legs, so that is pretty obvious that this time another material is going to be used in making this table, and that is steel. Its reclaimed metallic legs would be made using fine steel. While the upper top of the table is recycled with wooden pallet planks. If you are a party loving person then this one is a perfect choice for you because it would make it damn easy to serve a large number of guests at the same time. 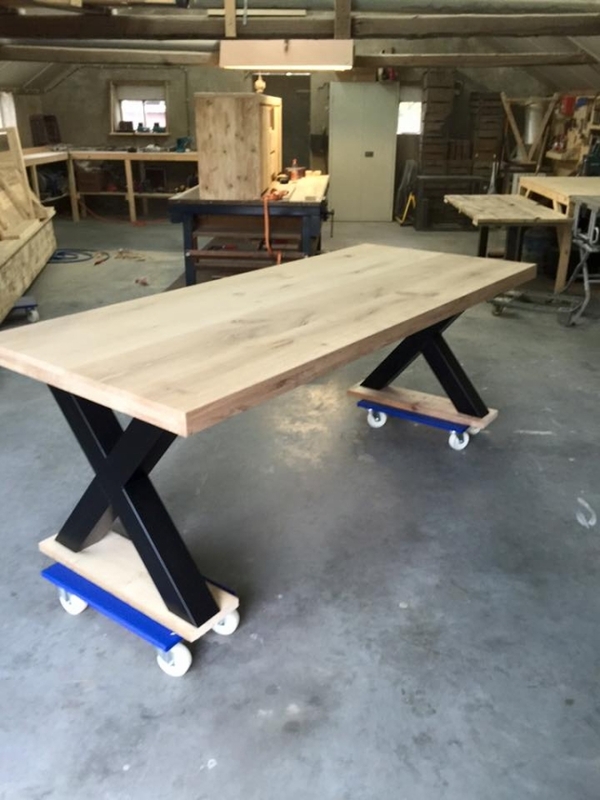 Let’s have a look on this reclaimed pallet table with steel legs. 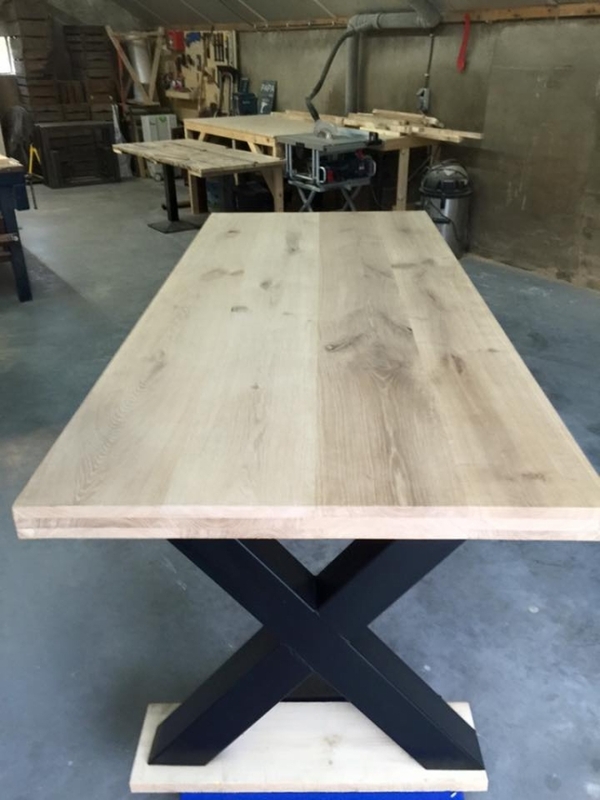 The upper top of wooden pallet is very well sanded and smoothened up to enhance the delicacy of the table. While the steel legs installed below the table are also very stylish and classy. A big cross of steel is installed just below the roof top and then some very high quality wheels are installed right below the legs making it a mobile reclaimed pallet table with steel legs. Grab this wooden beauty for your part venue and get admired and appreciated.